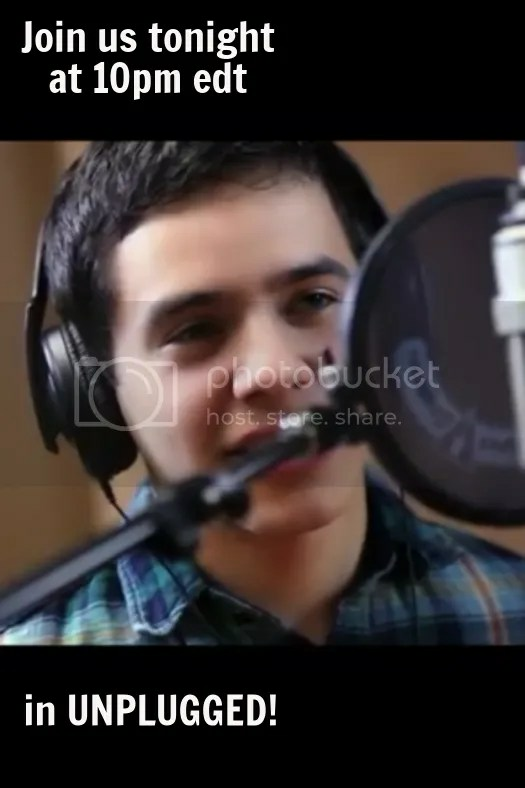 Mountain Top ~ David Archuleta ~ The Man. The Mission. The Passion. 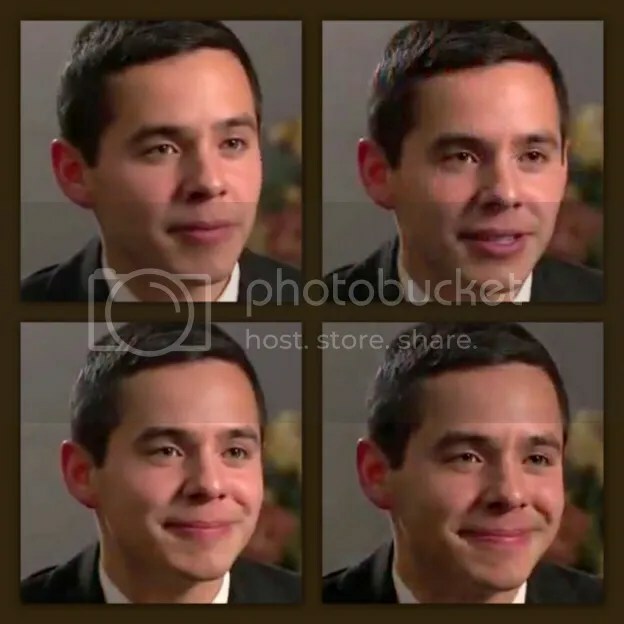 There are two major roles that David Archuleta plays in his life that we have become familiar with. He is a musician and a spiritual being. In one role he is in pursuit of musical achievement with good balance and respected manner. In the other role, he seeks enlightenment and spiritual growth. David performs both of these roles with great passion and accomplishment with spiritual growth as his life long mission. He seeks to achieve greatly because he profoundly believes in setting and accomplishing tasks while pursuing ambitious goals that motivate himself and the people around him. It is amazing that by watching David perform and by listening to him speak, we see the strengths that are not only in him but strengths that have sometimes been hidden within ourselves. So it is not the mountains that we are able to conquer, but ourselves. I believe that is one reason why David endears himself to so many people worldwide. Over the two years that he has been away, I have had mixed emotions and understandings in regards to his leaving, but finally just before his time to return, his time away became so easy to understand and appreciate. I am sorry that it took me so long but excited by his return. The man and all of his life’s passions continue on in the amazing journey. Sandybeaches is a staff writer for The Voice. 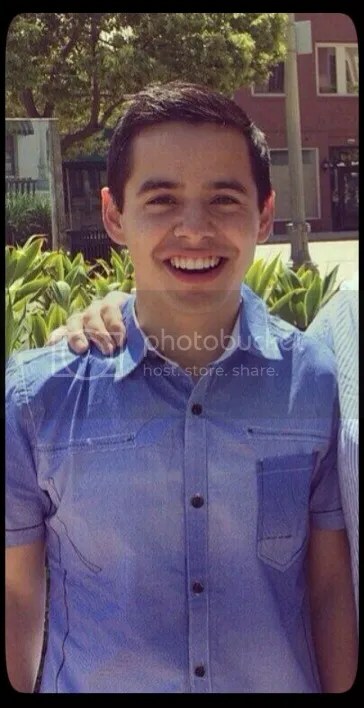 This entry was posted on Friday, April 4, 2014 at 11:58 PM	and is filed under @DavidArchie, David Archuleta. 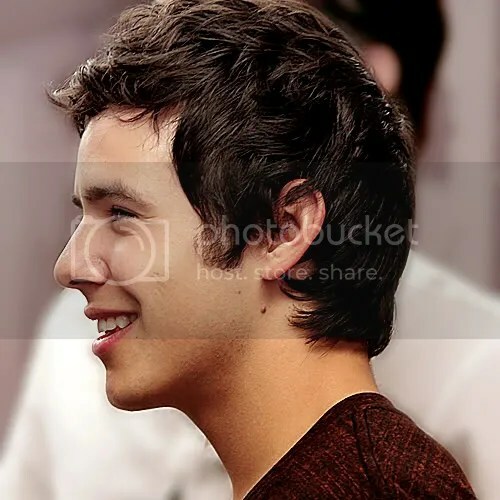 Tagged: Climb Every Mountain, David Archuleta, Staying true. You can follow any responses to this entry through the RSS 2.0 feed. You can leave a response, or trackback from your own site. continuing my journey with david, I do not know where to take me, but I’m sure it will be a good place. This is a wonderful and inspiring post as David has finally returned from his mountain top with “the man he has become”. it will be as if meeting an old friend with a whole new perspective on his life and his music.He has a passion for both. I found a better translation of Gladys’ transcript made by DonnaFOD who is one of our Unplugged regulars. Here is my translation of Glady’s transcription of Señor Mayorga’s interview. Note: Did she really say David won American Idol? Maybe if we say it enough it will become true. 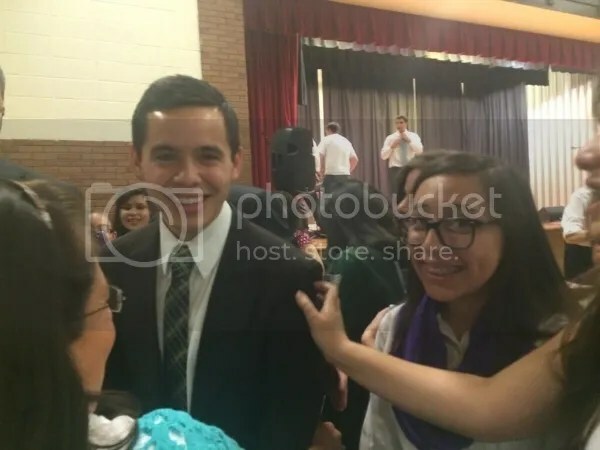 Mariel: Recently David Archuleta, pop singer, writer, actor, and one of the finalists of the seventh season of the program American Idol, returned home after serving a mission in Chile for the Church of Jesus Christ of Latter-day Saints. David was born in Miami, Florida, and both his father and his mother have been related to the world of music. But there is another person who has been part of the life of this young singer. And he is with us today to share with us some of his favorite experiences as a grandfather of 14 grandchildren, including David. Wilfredo is a journalist and has practiced this profession in his native Honduras, and is also a writer. Wilfredo we welcome you and thank you very much for being with us and giving us these few minutes. Wilfredo: Many thanks to you, Mariel. For me it is an honor to be with all of you. Mariel: Very good, thank you. We would like to ask you: recently an article was published about grandchildren that grow up around their grandparents, that when they are adults they are happier people. As grandfather of 14 grandchildren, and one that is famous, what do you think is the secret of being a good grandparent? So it’s a very significant role which belongs to us grandparents, that we had to pass through childhood, then perform as parents, grandparents and in the end it is possible to get to be a great-grandparent, like my case, where I just received a third great-granddaughter. Mariel: Well, congratulations. And as David’s grandfather, do you remember a favorite anecdote of mischief David did when he was a child? Wilfredo: he was very introverted as a child; the only thing he was afraid he was thunderstorms. There are many in South Florida where each year there is a hurricane season, and he had much fear of hurricanes, the flashes of lightning and thunder. Also I have to relate that, when he won the Star Search Award in 2003, he forgot the song when they went to Honduras to perform, and that was a pain he could never forget. He always remembers. Mariel: How old was he then? Wilfredo: He was 12 years old. Mariel: 12 years. OK, he started very young. Wilfredo: He did not show any indication that he would be an artist. I say this because of the shyness that he showed from infancy. But when he entered fully into these matters, he completely lost his shyness. Mariel: He converted his shyness into a strength, no? Wilfredo: Exactly. He took many examples from the rest, of many other celebrities who had also started that way, and then transformed his personality. Mariel: He is 21, isn’t that correct? Wilfredo: He turned 23 in December. Mariel: He was one of the youngest participants in American Idol. Wilfredo: Yes he was very young; he was 17. Mariel: OK, did you ever imagine that one of your grandchildren would be as famous as David? Wilfredo: Not at all, I believe that neither he nor the parents thought so. My daughter, his mother, yes. My four daughters had a group in Miami, called the Mayorga sisters, because my last name is Mayorga. They sang at many events in Miami, like Calle Ocho, Festival de Primavera. They do well, but I am not the artistic root. I’ve never sung, even in the bathroom. Mariel: I imagine it must have been a joy for the family when David stayed as a participant in the American Idol competition, and when afterwards he won it? Wilfredo: It was a surprise, I still maintain, that we never imagined at all. We met in 2007, in Georgia, where my oldest daughter lived. We managed to bring the whole family together to celebrate Christmas, but it was like nothing had happened. He had gone to San Diego to audition, I think he was number 11,000. He already had the news, but we did not find out until we saw him perform live in 2008. Mariel: OK, thanks for joining us, and sharing these stories about you and David. And congratulations to David through you, and your family for your achievements and the example of the good work of a family. Wilfredo: We hope this as well, that the clear future before him will be of continued success. Many thanks to Gladys from Argentina and Donna for helping us out! I loved your article. Thank you! Yes, and yes to this. And the thing about DA is, that not only does he see this for himself, but he really sees us that way as well. For him, there is no separation. He looks at us and searches for the same things we search for in him. He continually challenges us in concrete ways, to be sure. But it is more than just that. Other singers may challenge their fans. Although he has a healthy sense of boundaries – and needs them – on a spiritual plane and on a human plane as well, he sees no separation between him and us. And we feel that inclusiveness. We are touched by that closeness, that uplift and trust and gentle, but insistent invitation to explore even higher. So I am going to repeat here my great gratitude to all of you. Thank you for just being who you are. ❤ And thank you, Sandybeaches for being here, now, just as you are. You are amazing! "Do you guys have any idea how much I appreciate you? What other fans would be so understanding and so supportive? I read the comments on the You Tube page under his blog, and I just melt. I really feel that all your love and tender support is going to be key in helping him to reconnect in all the best ways. He always has been “on a mission” anyway, one that he chose for himself a long time ago. He will discover that he has brought us along, and sold us on being more active in the world in regards to our own passions, that we may be a different group than he has been hanging out with, but we are a pretty darn good bunch of peeps to have as a bunch of “companions”. And… we still expect the best of him. And… he is easy to follow. He just sings “Do”, a deer, a female deer….. and we are ready to don curtain-clothes and skip around cobblestoned streets singing at the top of our lungs for no reason in the world except: it feels so good. ^_^ "
Thanks, abrra, dja and the voice´girls. Thank you as well Gladys for the interview and Abrra for the translation. It was very interesting! Bluesky, I really appreciate meeting the people I have over the past few years. Meeting so many people with such similar interests is wonderful. I had a funny writing time back and forth with Abrra the other day. I was asking her for some information, can’t remember what exactly. She said, “By the way, it would be nice for you to write a short piece for now”. So I did, in couple of hours I had something off to Angelica although it is not long. But what is so unusual is that to decide upon an idea takes me so much longer that that! 😉 Must be a bit of magic in the air. I guess it was time to get it out and dust it off! Here we are, we’ve come full circle, he left and now he is back. Thank you for such a wonderful piece and for describing David just as I see him. And what a journey it has been. To think that he is all of 23 is unbelievable and i think we need to hold on tight because we are still in the beginning of amazing times to come. @DavidArchie: Watching General Conference with the family. I love conference weekend. Another promo video for tomorrows Called To Serve documentary. I for one cannot wait to see it. David is sharing himself with us. I’m going to make sure i have some tissue handy. Gladys thank your the transcript! Just didnt have the time, thank you. Bluesky, its incredible the overwhelming positive response to David. His voice singing in that clip, a sweet moment. SB, really enjoyed your article. To me, David is a brilliant enigma. Still waters run deep and David brings his still waters to life. He may be shy and introverted, but he is an absolute joy to watch on stage. With his loving and caring persona for people we are drawn to him, as a person as well as his voice. I’m sure his mission has helped him with his shyness in verbalizing as he lives life as a challenge and will always chose things to improve his life, privately as well as in his singing career. I will always be there for him as long as he wants to be here for us. When I sent cards to him there were a lot of “thank you’s” because of what he and his singing has brought into my life. What other singer would prepare us like he did for the 2 yrs he was gone. He said he can’t thank his fans enough and I can’t thank him enough. Therefore, all of us that have been drawn into this wonderful vortex of his rejoices in all that he does. Leaving him would be like leaving one of my kids. 🙂 Nope, no way! Love your writing! Thank you again for this newest piece! One of the things I enjoy about following David on his journey is that you don’t have to be his age or religion to get him. Much of what he believes relates to all of us at any age. I’ve followed many celebrities through the years but David is not only the most talented but the most compelling. He never fails to keep me entertained, in suspense, and always interested! Gladys and Abrra, Thank you for David’s grandfather’s interview translation. SB, I love this writing. I could be a fan of David’s simply because of his beautiful voice. However, I am a true, dyed in the wool, forever fan of David because of who he is. He has taught me, over the last six years, that there is someone inside of me that I didn’t think was there. We may share the same religion, but he was living it more fully than I was. He showed me, by example, what I should and should not be doing. Have I made it to the top of my mountain? I don’t think so, but I’m working on getting there. I’m so anxious to see, and be a part of, the next phase of his life/career. Thank you to all who are a part of this amazing place. It’s like home here, and you know what they say…. 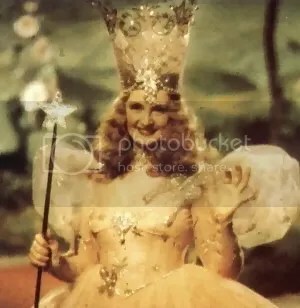 ‘there’s no place like home’. Found on twitter. Not sure what the event was. This person’s timeline gives a few hints. I am not going to post the picture of him giving his testimony. You can find it in the tweets. Is it you Bebe or tawna who liked John Denver? He was just on the radio with ‘Back Home Again’… I send that out to you David!!! Sandybeaches, I really like John Denver. I want to say also that you words about our returning missionary have been very comforting to me.You have brought tears to my eyes with what you have shared in your comments.Like Bebe said, you have definitely helped me to have a better understanding and appreciate what he is going through right now, even more.Thank you so much for that. I seem to be an emotional wreck this week up down and all over the place for some reason.. mostly David and well, just, idek. All of you guys comments,make me cry. I was a huge fan of John Denver’s!!!!! I know that I am in good company. There are lots of JDenver fans in the DArchuleta fanbase! Sunday puzzle is all about patience. You know that thing that requires time to work properly? And now….. Drumroll….. The man himself. So soon! A great time was had by all in chat last night during regular time and after hours! JR even stopped by to say hi. Thank you Abrra and to everyone present last night. Thanks for your wonderful words about David. He is loved for so many reasons. It might take David a while, but I hope he’s also able to fully enjoy “The dancing and singing and joking and jollying!” soon. He deserves all the fun and joy and happiness his heart can hold. Thanks for the link Bebe. If anyone has problems with the video working, try clearing your browser cache and cookies then restart the browser. Or use Google Chrome. It seems to have the least problems. I first want to thank everyone for their comments in regards to my writing! I wanted to be on Unplugged last night but a little $100,000 competition that our little town was in with a town in Alberta took me away. An amazing night, We were the finalists from over 500 towns across the country. Very exciting and nationally televised, that brought out a spirit in our small town over the weeks like we had not seen before. A breakfast in the morning before the final event brought 1,000 people to share breakfast! A great happening for everyone’s spirits by the end of the night. In the end we both won $100,000 but not the coveted cup but it was amazing. I can’t believe the hard work of the younger generation voting 2.5 million times. It was so important that the schools stopped classes and they voted all afternoon. Anyway the exciting weekend continues and I am ready for this afternoon. Thank you Abrra for posting the time zone, I was just going to do a search to verify what I thought was the time for here. I look forward to the comments later!! I l already have a lot of pride going on today and now to see David. So sorry I missed Unplugged! Not to forget 4:30 Atlantic time for those of us sitting in the Atlantic !! I’m sorry for my omission. I just added Atlantic time to the schedule. I’m on KSL now, don’t want to wait for the last minute and not be able to get in. SB, wow! What kind of a contest was it? Haha Bebe! I was so left out!! One half hour right in any time zone!? Djafan, well it was a contest by Kraft associated with Hockey Night In Canada. They asked towns across the country to write and tell a story about their town and how prize money would help to restore facitilites needed for the town such as the arena in Sylvan Alberta that had its roof collapse. Most of us needed thousands of dollars to keep going. So, there was voting like on AI and towns were voted out but when it got to 16 towns they each received $25,000, when it was four they received $50,000 but we were one of the two finalists. I am just amazed that after all these years and feeling that people are too busy to work for their town, these towns put out such an effort. We had a parade yesterday in the freezing rain and all of that was televised nationally during a national hockey game. We are just so small and that is what is unreal I suppose. We went down to my husbands office this morning and posted on the lit billboard how fantastic everyone was. It is breaking up for me with delays in downloading but not much I can do unless Abrra says so!! Can only hope some wonderful fans were able to tape it. All I got on the stream was bits and pieces and long delays — even a 404 thingee. Used Firefox and then tried Chrome — no difference. From what I saw it seemed to be very well done and interesting — and it was David after all. Well wasn’t able to see it really, kept breaking up but it will be up shortly according to this tweet. from KSL. I’ve read that some think the young fans will be turned off by this “new” David if you read twitter that couldn’t be farthest from reality. Oh David be careful lol. I could not see very well, the transmission was cut all the time, I hope to see the film again. Never under-estimate to power of David Archuleta fans with ODD. We crashed the ksl site with so many people watching! Unfortunately it led to poor reception. From what I did see, it was a very well-done program. I particularly enjoyed David talking about himself and how this experience changed him. I’m so proud of him! I didn’t think I could respect him more, but I do after watching that program. I am a forever fan! Grammyj, Count me in, I’m also a forever fan! David is worthy of respect and admiration. Jans, everything and more is right. Have watched the “Called to Serve” many times now. Sky, I need to borrow that famous towel of yours. I still can’t understand how this youngster can affect me to such an extreme extent. It is great to know that David’s fans will make this available everywhere! I especially treasured Dean Kaelin saying David was like a ray of light in a dark world. Dja. I too wondered if some fans would be turned off by this new David. I appreciate you addressing that. I am sure there will be some reactions of rejection, some of embracing. The important thing for me is that David does not reject. His love of people is inclusive rather than exclusive. Have watched twice now. He’s a wonder. A wonderful person, a joy to listen to. You could see how happy he was to serve. Yes, it made me cry, especially when he was hugging Lupe. Sheesh, pass the kleenex! So true what Dean said about David being ” a ray of light in a dark world.” We’ve known that, felt that for several years now. But he expressed it so well. It made me think of all of the stories from fans about how David affected them when they first saw him on AI. From Ray to many others, he literally saved hearts, souls and lives with his spirit. Gah. Can’t wait to see him again, some more, soon, whether on video, twitter or on TV. Mostly can’t wait for the first time I can see him perform live again. Watched it twice too and just can’t get enough. You are right Dayzee, I, too can’t understand how this young man can effect me so much. He is just so much to me, that I don’t understand. It’s the ODD I do believe, but it’s hard to understand something when I’ve never had it before! 🙂 Just so glad to have been blessed by him being in my life. God is good! After much battling with the “video that will not play”, I finally found a way to get it loaded up on Unplugged. It will run on a loop (24/7) for a few days so that everyone who wants to see it with no buffering or stopping, can do so. Some of us are in Unplugged now, come join us? Really enjoyed the program. I think we are already seeing the David he has brought back; one with more self assurance and understanding of himself. I liked the mini interviews. Each person tried to explain, what seems to be unexplainable, who David is and the impact he has on all he meets. As always, listening to David, I find such simultaneous peace and joy. So glad he is back. You said you wrote this quickly but it’s done beautifully. I think it the perfect platform for the “Called to Serve” videos. I finally got to watch them all and downloaded them to my computer from YT. I have watched them several times. There is so much I want to say but will wait a little while to gather my thoughts. Angelica, I am looking forward to reading your comments after watching the videos. There is a lot to ponder. It is fun to write when a thought comes to you and the pieces fall together fast, but the quick writings are few. It was funny because Abrra said write perhaps and I said OK. That was rare! David continues to reach out to people and capture their undivided attention. Music has always captivated hearts and he has perfected just that. The religion in his own heart is unique therefore one without borders. You might have to go back to his singing “Imagine” to understand that. The announcements of what he will be doing with music and his career will unfold soon perhaps! 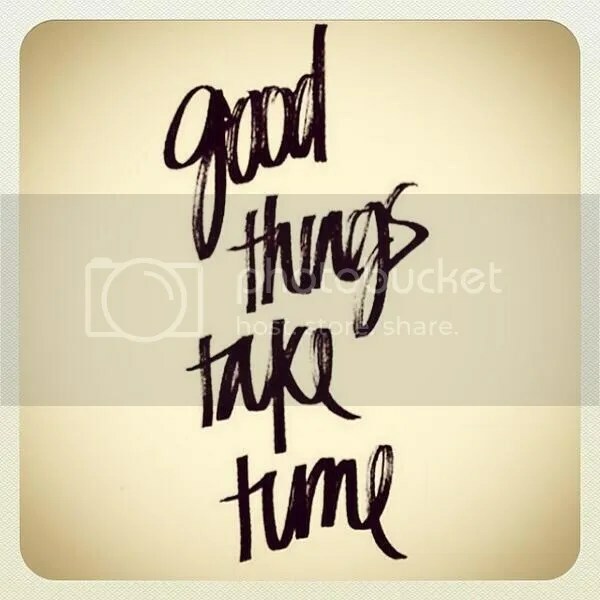 I think we taught each other patience over the years so patience it is. You know some of us have Adult ADD, so imaging how that is for some!! David’s documentary was so well done like everything he takes part in. He is obviously still discovering and searching for his future direction. The difference, Dear DA, is that this lovely poem has a solitary feeling. Whereas you never have been, nor will ever be, a solo act. You carry a companionship of the divine within you – you have sought for it. (I love what you say about this SB! # 61 You are so spot on with that observation!! <3) and because you are your own little Tesla (he drew electricity out of the air and gave it form), you always shine brightest when you connect with the hearts of those around you through the joy of song. Because of this, I know that your "way" will be filled with your love, care, and appreciation for the people you sing to, as much as for the music you sing. And we will love you back. Such beauty in these thoughts. SB, reading your article again is surreal that you wrote it before Called To Serve and it couldn’t be more spot on. The last video from 1:50 on just slayed me. The last parts where David is being interviewed his expressions, his eyes, his words, can’t get them out of my head! I found this on youtube. I think I’m starting to get a different look. Gladys, that is a beautiful video. I hope that someday the number of people who are so caring will be more than the ones who are not. I have one son and he is kind hearted so I am pleased. With David’s help there will be many more! That video is so beautiful and full of emotion, Gladys. Working with the elderly in the nursing home for the past 13 yrs has taught me much compassion. The last 6 yrs David was in my life and he taught me even more, even though he is many moons younger than me. I always said if everyone acted like David there would be world peace! Gladys, that is beautiful and to think it’s a commercial. My grandkids watch these commercials and cry….there is hope for today’s youth. They want to be inspired. As happy as I am to have David inspire me at me age it makes me even happier to see so many young on twitter being inspired by David. These are the words which David sings at the beginning of the video, they are beautiful. adonde me envíes, yo iré señor, a montañas o islas del mar, yo diré lo que quieras que diga señor, y lo que tu quieras, yo seré. Good Day! It is rainy here but heading towards spring finally! Still snow and ice though so not very good for the wildlife! My youngest daughter just texted that the course she will be taking in Austin Texas will be spoken in Spanish! I could only offer “Hola”. SB, does your daughter go to college in Austin? My twin grandsons go there. They are sophomores and intern for Google in California in the summer. So proud of them. She has been doing some research with Premier Research Labs. Beyond my comprehension, but I listen and converse!! More news please!! Haha, it all takes time! SB, More news please! lol The tweets to David are so fun. Many trying to get him to come out and play. Asking for food tweets, even give us a task tweets haha. David surely must be amused by us. I’ll settle for another hola :). I’ve had a hard time coming up with the right words after watching the “Called to Serve” videos. I won’t comment on the religious aspect of it since to me that is something very personal and private. But I will say that I can see how much his time away has changed him. I see a man who is stronger, more sure of himself. After being self-reliant and handling a great deal of responsibility for the last two years, he has a new-found confidence and maturity I didn’t see before. One thing did get to me. When they said he was afraid fans would “boo him off the stage” when he made the mission announcement, it broke my heart. I can’t imagine the strength and courage it took to go out on stage and make the announcement thinking that’s what would happen. No wonder he was so emotional when the audience applauded. One other thing: I’m going to be shallow and mention something I thought was so funny. You all know how I am about hair, right? Well, did anyone else catch it when David was walking down the corridor “fixing” his hair and turned and said “travel hair.” hahahaha Am I the only one that thought that was just too funny? Oh, and the reunion. ♥ He and his family must be so happy to be together again. Yes MT. Loved the tweet! Is that Kendra with him? I don’t recognize the man, though. David looks good with the banjo! Any instrument he chooses to play is fine with me. Yes David. Love me some bluegrass. DO IT!! You are the Soul Man! Umm am I missing something, or are there NO STRINGS on the banjo in David’s hands? Intersesting tweets. 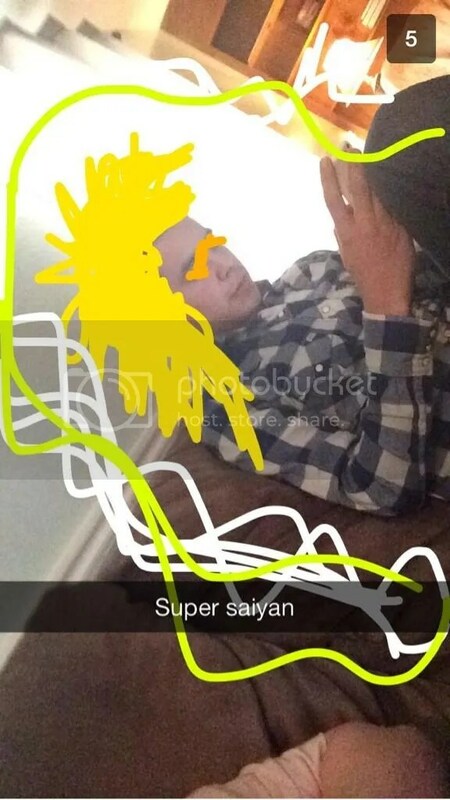 And David responded…looked this guy up, he’s real. 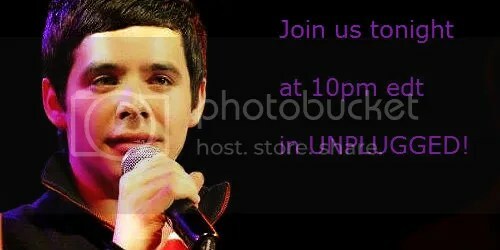 @DavidArchie It would be an honor! I saw your KSL piece & was very impressed. Felt the spirit very strong as you sang to your investigators. @shaycarl but if I am going to even attempt that, you’re going to have to give me some tips. First reply to a tweet. And I see your second winky face and raise you an eyebrow. haha. @shaycarl Haha. Hey, thank you. The mission was amazing. It has changed my perspective more than I could ever have imagined. Shay Carl, it gets more interesting. David is a natural vlogger, could this be one opportunity? We know we’d be there to listen to him sing or talk in a heartbeat. Dnfan, how does that translate to include David possibly? I noticed and laughed out loud. I noticed several instances where David is still being David like he said, just different. I can see many ways of interpreting that statement. The confidence and maturity and determination in the way he was expressing himself is new. Imagine how that is going to translate to the stage. I see where many are fretting thinking his music may be over, I say no way lol. 2. Gina Orr has been tweeting and retweeting all things David. 3. 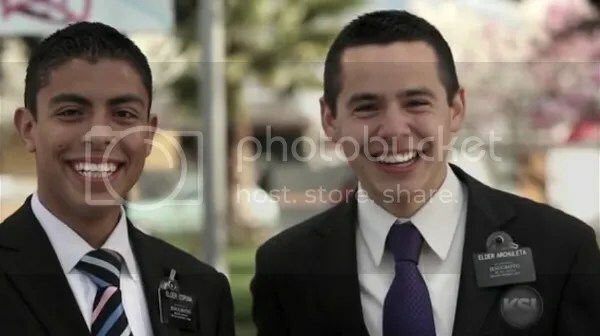 Elder Archuleta takes the time to vlog us (his fans) at the airport. 4. David does another vlog thanking us for all the letters and warm thoughts. And asks us (his fans) for patience while he goes through the process of of adjusting. 5. David takes back his twitter account and is tweeting us, and winking at us, teasing us, being playful, being David who we’re in a relationship with, his words. 6. Part 4 video at the MTC, he looks at us through the camera and smiles at us (he knows his fans, us, are watching). I could go on and on. If he didn’t plan to continue with music why bother with all of the above? The sky is the limit for David IMO. Here is a fellow succesful singer who is also LDS, not at the bieber status but who needs that haha. Alexe Boye (LDS) and the Childrens One Voice Choir (I remember David singing with them before) did a cover video on youtube and it has 31,776,431 views in a little over a month. He has many more and is getting ready to release an album. David would kill this. Angelica, Oh would love to hear David’s take on that blue grass Billie Jean. SB, I think there are many aspects of the music industry that can be done without having to give the suits all your $$$. Social media has reached new levels and I can see someone like David, a natural at everything, take advantage of this. Promo, performing, contact, publicity and David has something that many others don’t, us, a devoted fan base. The numbers speak for themselves. The same thing is happening on twitter. You Tube, self promoting straight to the fans… that is where it is at now, for sure. Lindsey Stirling, The Piano Guys, this group above and Alex Boye. Yes, I know of these, and yes they are LDS. (so it is easier for me to know about them, maybe?) But there are many others. In fact, check out these two cellists. O. M. Gosh!! And… as you say, DA has such a great base to begin with. Quality will out. Two Cellos, is the name of these guys. And that vid has over 17 million views. Wow, I had no idea you could play something like that with a cello!! Great video. Very creatively done and so funny when they went completely wild at the end. They are really talented. Thanks for sharing! I thoroughly enjoyed it. 🙂 And yes, haha they are kinda cute. That’s what I wish for David. Not the cello, of course, but someone who can work with him to showcase his talent in original and creative ways. I’m hoping for songs and MVs that are done on par with his amazing talent. He deserves the best! Thanks for bringing the interesting tweets here. So David is now following Shay Carl? Hmmmm. 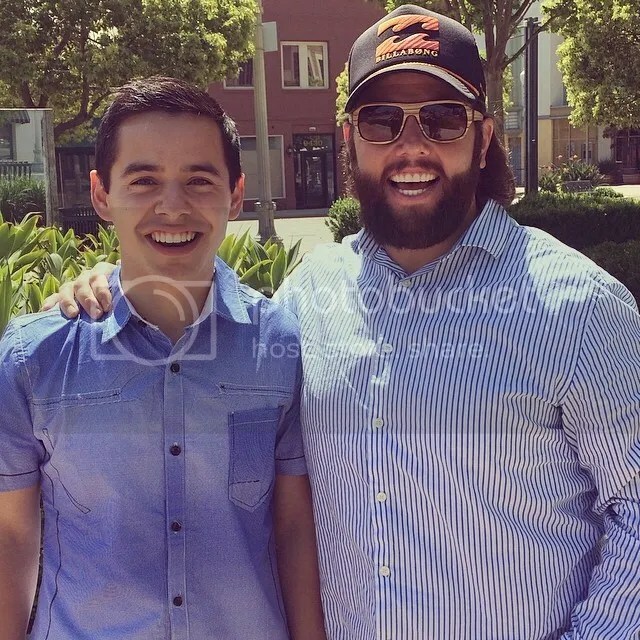 yes, the plot thickens and the mystery that is David Archuleta deepens. I wonder how long it will be before we have a clue as to what the future will hold for David. Totally agree dja and bluesky! Seems that the idea of becoming noticed through YouTube increased in popularity during the last two years so David may have missed seeing it as it happened. If I stop and think I can come up with a few acts off the top of my head whose careers took off with the help of social media. Here’s 13 and 16 year olds Lennon and Maisy Stella (The Stella sisters) from Ontario, Canada, whose video, a cover of “Call Your Girlfriend” went viral on youtube, receiving 17 million views! They were noticed and got an audition for the TV series “Nashville”. “Nashville” producer R.J. Cutler told The Hollywood Reporter, “…we decided on the spot to change the roles to fit Maisy and Lennon’s ages. Listening to them sing literally brought tears to our eyes. I’m not just saying that. Their voices moved us to tears. We knew we had to cast them. Cook is on tonight. He sure has changed his looks! Would love to see David sing on tv such as Idol and we would just talk about David and nothing else. It was so much fun. Time for some singing light, free and easy. Thanks everyone for all the good info and videos. David”s banjo pic is cute, as usual. I know whatever route he takes will be good! 91…Love those figures that shows who # 1 really is! 🙂 Cook sure does look different….not really fond of him and never bought any of his albums. Feliz cumpleaños a mi mamá!! Happy birthday to my mom. I wish you the best in this coming year. Gracias por todo que ha hecho! HA! I was in the middle of watching a performance video of David on You Tube a few nights ago , when the power source to my monitor made a sizzling noise, shorted out, and screen went blank,then blacked out. (kind of like me at a David Archuleta concert.but all is well now ,so back to catch up! Loving all the news and comments and videos. David has a lot of exciting avenues open for his music to catch up on! Videos,sweet tweets …it’s so wonderful and exciting having him back home!!. POSTED ON DAVID’S FACEBOOK! I say we vote! David Archuleta shared a link. ROUND 1: Vote for David Archuleta as your favorite American Idol contestant of all-time on @RyanSeacrest.com! Vote! ROUND 1: Vote For Your Favorite ‘American Idol’ Contestant Of All-Time! And don’t forget trending party tomorrow! Do I see a “post-mission” mustache beginning to bloom? Please, do not succumb, DA. I know it is incredibly hard to resist the pull of full facial hair after being shriven for so long…. but *gritty-voice* here…. you can do it!! Hold On! Buck the insanity! Two weeks are all I ask! You will see that FFH is NOT the answer to adjusting to being home. Besides… it will be getting warmer soon, you will just be too hot. (……? !…… ) Okay, so you are already “hot”. But you need no more hot-ness. Not that kind! Yayyyy, Now, that’s real progress!!! You go, David!!! 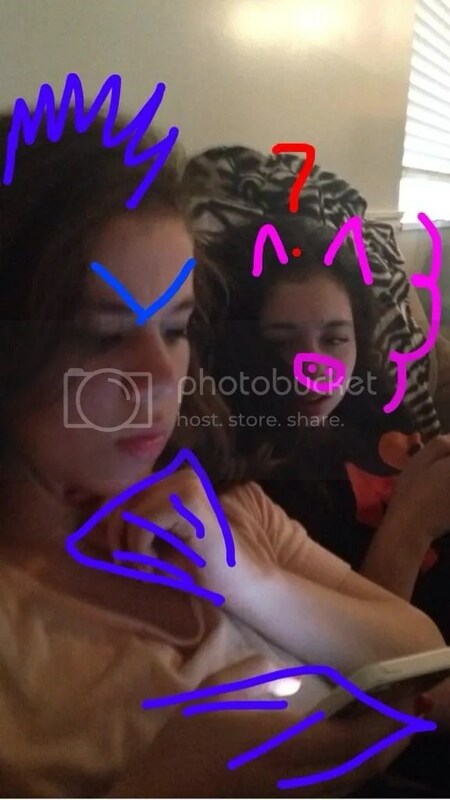 I blew up the picture. Its a shadow, no wiskers. I doubt he would change his look so drastically. Just doesn’t seem like his style. I did not really think he would. (Bluesky twiddles thumbs and appears calm). But most return missionaries do play around a bit with the new-found freedom of knowing they can go to any (pun alert!) lengths they chose to, now that they are home. I prefer to see his face unadorned, as it were. He may care. He may read this blog (with nothing else to do) and wonder what some random poster thinks about facial hair on male singers. So, just in case that is the case…. it was simply a case of my letting off a bit of my own “post-mission” release-of-energy, golly-I-am-glad-he-is-here, whatever-will-he-do-next, erm, thoughts. I was so gobsmacked by the HAIR!!! and the huge hazel eyes, that I never bothered about the “nonexsistant” wiskers. 😉 He looks best clean shaven. yes Abrra! HAAAAIIIR ♫♪we seee youuu! woo hoo! you know, I think I may have gone my whole life without someone putting their hand on my shoulder for a picture, but in every pic of David taken with the ‘guys’ it’s standard fare, a guy thing.How many times through the years have we seen it? ♥ Poor David must have permanent finger grip marks on his shoulder. Bluesky, your post LOLOL! love it. I think many who meet David have an instant like-connection and the hand on the shoulder is an expression of that. 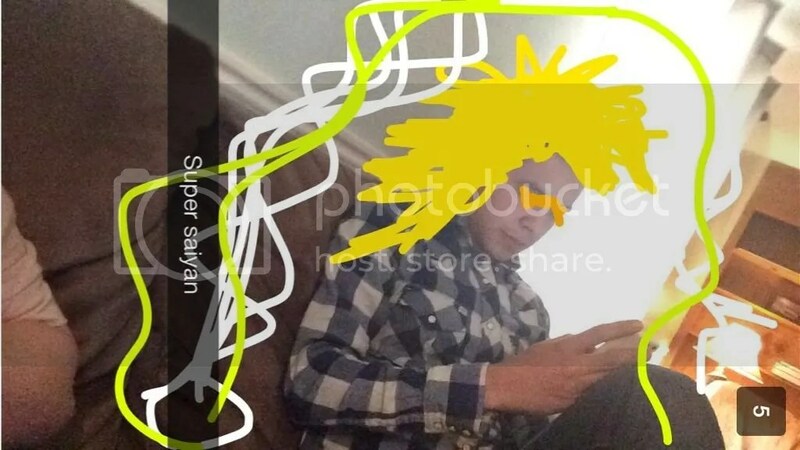 A question for the statistics queen, Djafan: Does David hold the record for having the most people cropped from his photos? The first one I remember was from the Elle magazine photoshoot that showed David alone in the leather jacket. AND DAVID HAS AN INSTAGRAM!!!!!! Today with a retweet and instagram picture. Just looking at the numbers. Dj, I was just running here to post that! LOL! He is hitting the ground with both feet! Bluesky, you and others here are cracking me up tonight. By the way this is the tweet David retweeted. David retweeted a tweet that called him handsome and amazingly talented???!!!! I LOVE THAT! The HAIR!!! has that affect on me. When I talk about it, I stutter. GAHHHHH! In a young man’s life, it is true, it is not the mountain he conquers but himself. At the pivotal age that takes a young man from his youth and family in familiar surroundings to places away from all he knows, it can be a very emotional time. The young person’s brain is realizing a whole world of adventures or journeys are set before him. Worries from the past can stay with them. I have seen the effects that separation had on my own children as well as on their friends. My children left home and followed each other into serving the lives of people through medicine and first responders. This has shaped their lives by helping others to sustain life. There lived a young fellow close by in our neighbourhood who grew up with my son. He became a most talented and successful youth in sports, academics and music. He was always with a big smile and so happy to see you. But at the time he left for university, he changed and after a few months he came home. That was when I realized the trauma of leaving one’s home, family and familiar lifestyle at that age. Shifting back and forth from one life dramatically to the other is very difficult for many but possibly most trying at that age. It may take David much longer to adjust to the differences that two years away can make not only with himself, his family, his career but to everything around him maybe even including ourselves! When I see youth trying to do good in this world, I am equally proud of every one of them. Sandybeaches, your comment could be a whole article. I love it. So very true and a good analogy to use in our own lives and with our own families. Thank you so very much for sharing this. You make a difference. I know that this was not, in some ways DA’s “first” leaving: he left to do AI, he left school, his friends, etc. and had to make new ones (I will be forever grateful to Cook and so many others in his “year” for being so good to him and for helping in any way that they could), he had to settle many things on his own. He “left” again for tour, and then another and another. He “left” to go make a TV series. In each place he has had to do more and more on his own and make new friends and acquaintances, new decisions. That is a lot for one his age. We have seen the devastation that can follow early pushes into adult responsibilities. Especially where there is little anchor. One thing I love about the “mission” experience is that they are never alone. They have their companion to always bump up against. This can be as life changing as the mission, since they need to learn to get along with different personalities, to problem solve together, etc. In DA’s part, he ways already very good at all of this, so I was grateful for him to just have the companionship, the constant support, etc. of someone who has no agenda and is his own age. So, I think in coming back, DA may be a little ahead of some others who return, having “left” before in many ways, having some challenges already experienced, as it were. What is hard is to leave the people and the camaraderie, especially the days so full of work and the schedule so busy. Fortunately, DA has many things he can throw himself into. So… like you I say: take you time, DA. Re-aclimate. Get to know lots of people. Feel your way. And…. sing. You know, just throw one out there now and then for us to snuggle into while you are rummaging around in your new world. It is ready and waiting for you. As are we fans. That is a cool! Never to much David! And Kari’s timely tweet. She must be reading and maybe David is too? SB and Bluesky, these last 2 comments make so much sense. Thank you for making them! I really like the idea of just throwing a little tune out to us -even thru a vlog- to whet our appetites a little. In the lines of SB’s comment of serving others. I read an article, in my local newspaper, about a 10-yr old boy. He has had a lemonade and cookie stand that is now just opening for the 5th year. He is entirely non-profit and raises the money for purchasing wheel-chairs for those that can’t afford them. They are shipped to developing countries by LDS Philanthropies. To date, he has donated 293 chairs. What an amazing young boy! There is a difference between being away and only able to connect once a week for an hour than being away at AI with your father and your family only a touch away at any time. That goes for his touring that took him to SLC as well when he had family much of the time. Each travel time was just for weeks and then he went home. I only mean that home is a stone’s throw away not that anyone would sit still. When one of my daughter’s was 10 she spent two months in Toronto at the National Ballet School and my youngest moved to Boston for ballet after grade 11 for ballet and schooling but each time they went away they were home for holidays etc. you know what I mean similar lengths of time that David spent in Asia. I find that when young people go away to university for a few years depending upon how many degrees they want, they go through hard times making the money to go and they too make life long friends who go through hard days and nights with them. There are many different courses of life to be chosen but being a parent I am happy with what our children went through to learn how to be who they wanted to be. We could all tell stories of similar nature. Gone are the days of staying home to help milk the cows but thank heavens some do. To those youth who do I say, great choice you are needed too. I am guessing that David and Kari see more comments daily on twitter. I know that some of you are of the Jewish faith, some are of the Catholic faith. There are fans of all faiths and spirituality. I know maybe 200 faces and names of fans I have met over the years. It isn ‘t your faith but your heart that makes you who you are. I am on my cell, hope this copies! Shaycarl delivers! ( a bit OTT but ok ) He talks about his meeting with David. It’s the first 3:44 of the video. He misspoke about David winning AI7 and corrected himself in comments below the video “SHAYTARDS Awww crap! I forgot David Cook won that season. Well David Archuleta won in MY HEART! They miscounted the votes I bet!!! ‘ ﻿ The rest is family stuff. The count on that video has 301+ views and 7,120 likes already. Yesterdays instagram has 40.5k likes. And twitter? Many Shaytards commenting liking the breakfast meeting. Sounds like you were and are a great and caring parent. oh .. may I just say look at the size of that mans hand! fhryeiwkdjhgfjdkk! How dare she cover his best features? WAAAAAAAAAA!!! I had to “fix” it. Sky, yep! Does it look like David might not be shaving???!!! I think its the graininess of the camera pic. He wouldn’t grow anything noticeable in 24 hours. hahaha they are having fun! Don’t forget the trending party tonight! We got it trending for an hour in different cities and Worldwide! Wow! Thanks so much to all of you for trending! RT @erlindita: Thanks for trending. 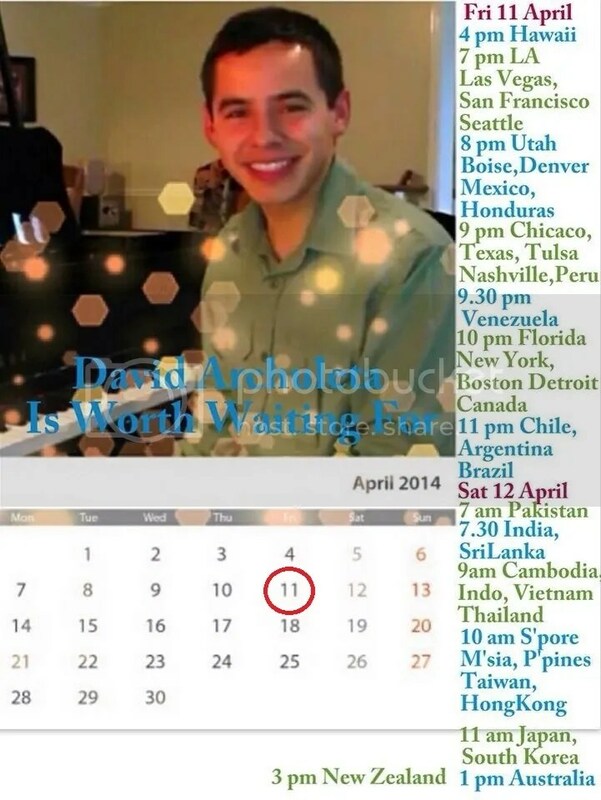 David Archuleta Is Worth Waiting For. Did I hear him say that he has to finish a song???!! David Archuleta Is Worth Waiting For is still WWTT!!!! bebe, you didn’t only hear him but saw him tooooo! Love the hand on piano picture! Linda hasn’t seen that David retweeted her…she is going to go nuts! I think we are in for some kind of ride! David is finishing a song and shared with a selfie of his hand! Finishing a song……eeeeping with you all! I am enjoying the tweets, for now they are the only connection we have. And (as a bunch of people said), he is worth the wait. Great time in chat tonight! It was back to basics as we watched the American Idol set, beginning with David’s first audition through the AI7 tour and then some. Highlight of the evening?